This music was created from our hearts, guided by the Divine, with faith that we are contributing our part to the universe. 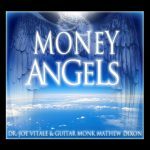 – Founders Guitar Monk Mathew Dixon & Dr. Joe Vitale. The 3 Secrets behind Expresso for Your Soul! 1. Straight to Your Head! All Espresso for Your Soul songs include Dr. Joe Vitale’s Empowering Statements, which go straight to your head. So many affirmation programs and subliminal recordings try to hide their message. That’s not the case with Espresso for Your Soul, we are very direct and you will hear the Empowering Statements loud and clear! No one would ever know, but there is a hidden ancient Hawaiian healing mantra called Ho’oponopono infused in all Espresso for Your Soul songs. This mystical mantra has great power. Dr. Vitale repeats its four phrases “please forgive me, I’m sorry, thank you, I love you” throughout the song, but at a volume so low only your subconscious will be able to hear him. 3. And every song is a Double Shot!!! You may not always want to hear the Empowering Statements, sometimes you may only want the music. Your Double Shot is a second full-length version, which has lowered the volume of the Empowering Statements to a subconscious level, meaning all you will hear is great music! What is the Empowerment Behind Each Track? 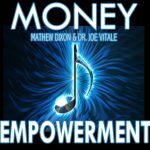 Money Empowerment is a 5 minute upbeat burst of energy that is made to dissolve the inner counter intentions that have been keeping you from the abundance of money that surrounds you every day. But with three key changes! 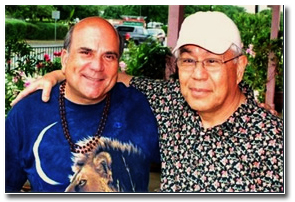 First, energy worker and healer Bob Wakitsch recently divulged to Joe and Mathew a secret way to use the mantra. This NEW way increases its already incredible power. In the past Dr. Vitale has always repeated the four phrases of the mantra in order. We have now learned that you can harness its power by repeating only one phrase over and over. Our new Espresso repeats, “I’m sorry” for about a minute and then moves to the next phrase until we have completed all four phrases during the 4 and a half minutes of the song. As with our past Espresso’s all of this is done subliminally (below conscious awareness). 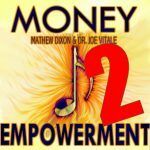 The second thing that is new in Money Empowerment #2, is the audible affirmations spoken by Dr. Vitale, during one brief section of the music, are in the first person. That means your mind will quickly absorb them as statements for YOU. They declare “Money comes to ME” (first person declarative). This is very powerful! Finally, this new track is all new music – again channeled by Mathew and Dr. Vitale. All in all, a triple whammy of a track. Listen to them back to back for a powerful effect. In Dr. Joe Vitale’s book, Attract Money Now, he explains the importance of anchoring prosperity. He shared a story of how several years ago he had been successful at a conference. So he purchased a $700 cigar lighter to help him acknowledge himself and use prosperous spending to keep the vibration of abundance and prosperity high. 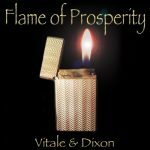 Flame of Prosperity starts with the sound of Dr. Vitale lighting that same lighter, and it can be heard through out the song. 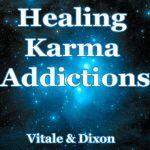 To help create one of the most powerful healing tools that focuses directly on Karma Addiction, Espresso For Your Soul teamed up with legendary rock band U2 to use the foundation of their hit song “Bad” to help create this wonderful healing song. While visiting New York City, Dr. Joe Vitale discovered a very rare and mystical guitar named Merlin. Merlin was different from any other guitar that Joe had ever seen or heard. It was smaller and had 12 strings that sounded one octave higher than a regular guitar. The tone it produces is similar to a harp that an angel would play. When Joe brought it to Zero Limits Studio to show me the angelic instrument, I was in awe. As Joe began to play he started creating a wonderful melody. I quickly set up a microphone to capture the moment as this inspired song came to life. When Joe stopped I asked in amazement, what was that? He replied I was just playing for my money angels. The end result is a heartfelt song that you can now play to attract your money angels. As they dance and play they will help bring more money and prosperity into your life. If you give freely, without any expectation of return from a particular source, you’ll receive back in kind, many times over. Up until now the only way to purchase these unique healing songs was individuallyfor $9.99 per song. But we have decided to offer all 12 tracks and one discounted bundle for the low price of only $19.99! PS– remember, Espresso for Your Soul songs are designed to work whether you believe in them or not. 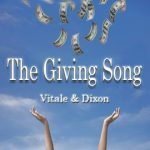 The brilliant direct use of Dr. Vitale’s Empowering Statements, will quickly become a personal positive soundtrack that stays with you and serves you well. PPS-Contributions to our Heart donation are never expected but always appreciated.